Welcome to the Steel Stockholders & Fabrications Specialists - Express Steels and Fabrications Ltd.
Express Steels and Fabrications Ltd. have been in business for 14 years. We are conveniently located on the edge of Cardiff, operating from purpose built premises, which feature all the necessary equipment required to provide a full, in-house processing, fabrication and stock handling service, to all our customers. 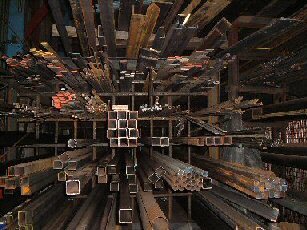 At Express Steels and Fabrications Ltd. we believe that our strong customer focus, sets us apart from our competitors. We provide a personalised service to all our clients, be they new or established customers. We always work to fully understand the needs, requirements and challenges that our customers have and we pride ourselves on delivering to the agreed order specifications - on time, every time. We are fully prepared to be flexible and responsive when our customers request it. We will work extra hours to complete urgent or 'rush' jobs, and we will re-prioritise and quickly adapt to changing customer requirements and circumstances. Our established customers are also provided with a 24 hour access/response service. At Express Steels and fabrications Ltd. our objective is not just to meet our customers requirements but to exceed them - always. 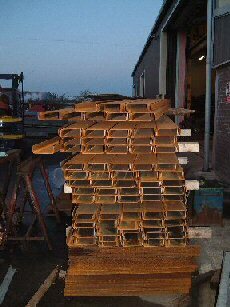 Some of our existing clients who are benefiting from a partnership with Express Steels and Fabrications Ltd. are; Associated British Ports and R.M.C.- Marine (now Cemex).You will also find our products in high streets up and down Britain in top name stores belonging to the Arcadia Group which includes; Dorothy Perkins, Topshop, Topman, Wallis, Evans, Miss Selfridge and Burton. We also have our finished products in Barratts and Clinton Cards stores amongst others. If you have a requirement that we can help with, we would be delighted to hear from you. You can contact us directly on 02920 464365 or via our specially created Contact Us form. We look forward to working with you - you will not be disappointed.